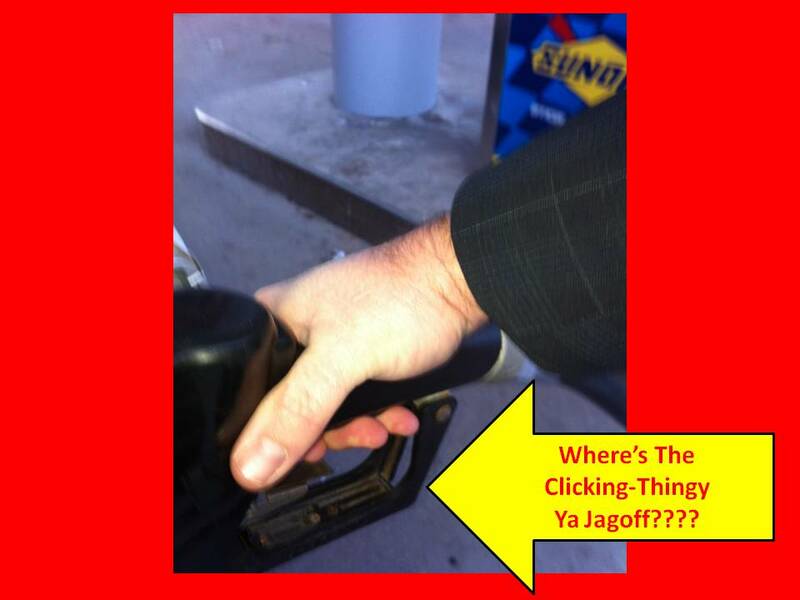 One thing I would add to this list of things that we would LIKE TO TAKE FOR GRANTED… the clicking-thingy on the gas pump nozzle that lets ya fill our tank WITH NO HANDS! Hey Sunoco, your gas station is SO high tech that the pump asks more questions than an CPA exam. It has a car wash, a code reader to get a discount, a card-swiper to pay without going inside, a way to order a sandwich, blah, blah, blah…but no 20-cent piece of metal to hold the gas trigger? Forget about selling the next kind of scratch-off lottery ticket or 19 kinds of iced tea and Gatorade, get some clicking-thingies, Ya Jagoffs! Don’t forget to click SHARE below… email, Facebook, Twitter.. we love an audience!!!!!! So forward to all of your Pittsburgh friends and relatives!